From New York Times bestselling author Peggy Orenstein, now available in paperback--the acclaimed New York Times Magazine contributor and author of the groundbreaking New York Times bestseller Schoolgirls grapples with where to draw the line for our daughters in the new girlie-girl culture. The rise of the girlie-girl, warns Peggy Orenstein, is no innocent phenomenon. 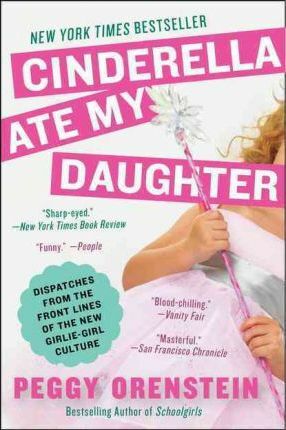 Following her acclaimed books Flux, Schoolgirls, and the provocative New York Times bestseller Waiting for Daisy, Orenstein's Cinderella Ate My Daughter offers a radical, timely wake-up call for parents, revealing the dark side of a pretty and pink culture confronting girls at every turn as they grow into adults. In search of answers, Peggy Orenstein visited Disneyland, trolled American Girl Place, and met parents of beauty-pageant preschoolers tricked out like Vegas showgirls. The stakes turn out to be higher than she ever imagined. From premature sexualization to the risk of depression to rising rates of narcissism, the potential negative impact of this new girlie-girl culture is undeniable--yet armed with awareness and recognition, parents can effectively counterbalance its influence in their daughters' lives.